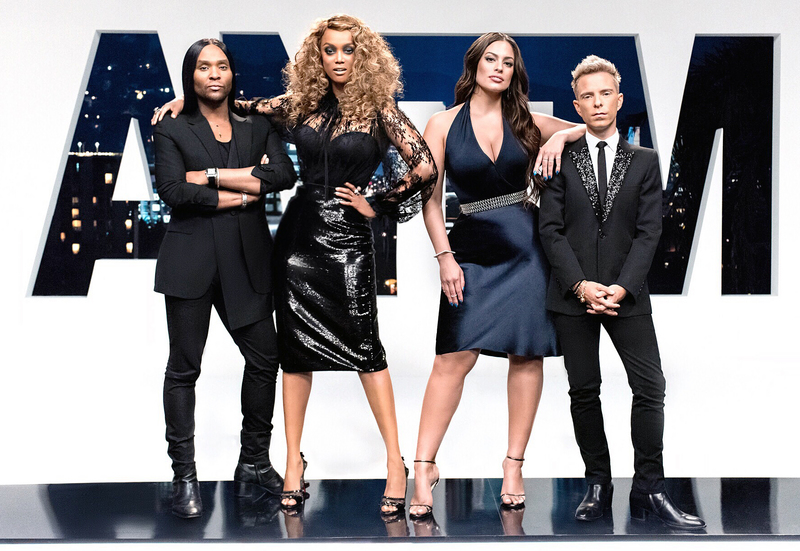 America’s Next Top Model (ANTM) has returned, now in its 24th season. Tyra Banks has come back as the head judge on the show, being replaced last season by Rita Ora as the show moved to the television network VH1. Other judges this season include model and body positive activist Ashley Graham, the creative director of Paper magazine Drew Elliott and celebrity stylist Law Roach. The TV show centres around young women who wants to become the next big supermodel. The world of social media has changed what it means to be a model. Models, according to Tyra, have to be a boss now. Models are social media stars, such as Bella and Gigi Hadid. This season Tyra has lifted the upper age limit: women from 18 onwards could have applied, and one of this season’s models is aged 42. Previous seasons have had similar themes, opting for petite models and male models. The winner of this season’s show will receive a contract with the modelling agency Next, $100,000, a fashion spread in Paper Magazine, and the model will be featured on Tyra’s new phone app named after the show, ANTM. The show’s format has not greatly changed in its twenty four seasons. The models all live in a glamorous house, which is said to be the ‘best house yet’ every single season. Each week the aspiring models must perform a challenge and have a photoshoot. Their best photo will be judged by the panel, and the weakest photo’s model will be sent home. This season, however, the models can be sent home at any time, so they have to be on their ‘A-Game’ at all times. Of course, models will face the infamous hair cut week, where all models will be given a new hairstyle that will help them to be a better model, according to Tyra. Hairstyle changes can range from a buzzcut to long luscious locks. If previous seasons are anything to go by, not all models will be happy. Later in the season we’ll see the models travel to a new and upcoming fashion destination. Previous shows have been held in Cape Town, Amsterdam, and Seoul, to name but a few. The show was also open to contestants of all sizes. On earlier versions of the show, models were required to meet certain heights and body measurements. Contestants were often criticised for being too thin or too big. The popularity of the show could be in question; it is a reality show, and perhaps other reality shows have surpassed it, shows like Keeping Up With The Kardashians, and I do not see much hype regarding new episodes on Twitter. Perhaps Tyra’s return to the show will boost the ratings, as it is not really America’s Next Top Model with her!